﻿We’ve put together a guide to the very best mattress stores for you to shop at in West Virginia. Check it out below. If you are looking to purchase a mattress in West Virginia, we can help. The mattress industry has grown meaning supply is up and the customer has much more leverage. With more competition out there you have much more control over this once daunting process. If you encounter a pushy salesperson, call for a manager. If the manager is rude, turn around and leave. This is not as likely to happen today as these businesses are currently working very hard for your money. That being said, there is always going to be a pushy commission-driven salesman and so why not simply avoid them? We combed through the top-ranked mattress stores in West Virginia and looked for locations that offered a wide selection, high quality customer service and affordable prices. We even scoped out mattress shops that treated their customers like family, offered discounts, and convenient delivery options. What we came up with are what we have found to be the best mattress stores in West Virginia. Wondering Where can I find a mattress store in Charleston, West Virginia? We can help. In fact, you have more options than ever before. We looked for mattress shops that offered a wide range of products and provide quality customer service. Mattress Warehouse has two locations: one in Charleston (3712 MacCorkle Ave. SE) and one in South Charleston (108 RHL Blvd.) and both offer quality products, fantastic customer service, and affordable prices. If you are not sure what you need, you may want to head into Mattress Firm Charleston (2550 Mountaineer Blvd.). Mattress Firm always carries over 55 different styles of mattresses and brands. Their return policies are generally good for up to 4 months as the store claims a 120 day sleep guarantee. We recommend you check in with the shop owner regarding shipping. Typically their teams are fast and convenient. If you are on the market for mattresses and more you could head into American Freight Furniture and Mattress in Saint Albans (6330 MacCorkle Ave.) The shop is filled with every item imaginable for your home including mattresses, beds, bedding, couches and more. The sales representatives won’t push you to make a purchase and you’re likely to find a deep discount during major holidays. If you are looking for a mattress store in Parkersburg, West Virginia, you’re in luck. There are a number of quality mattress shops that cater to their customer’s needs. Mattress Warehouse (2824 Pike St.) offers name-brand mattresses, pillow tops, memory foam, pillows and more. The sales team are perhaps what set this location apart, as the individuals truly work to meet your needs. The staff are patient, friendly, and knowledgeable about their product. Whatever your budget, if you are in the market for a new mattress you are likely to find something at Mattress Warehouse. There’s an additional location on Murdoch Ave. (3715 Murdoch Ave.). If you’re looking for where to purchase a mattress near Parkersburg, why not head into Mattress Firm Vienna (501 Grand Central Ave.) Like with all Mattress Firms, you will have over 55 different mattresses to choose from in a wide variety of styles, convenient and fast delivery as well as a 120 day guarantee. This location stands out for its excellent customer service. The team are friendly and knowledgeable and won’t pressure you to purchase outside of your means. Shopping at a big box chain has its perks, as you will often find a price match and even a 10% discount. It certainly pays to shop around. If you can’t find what you need at Mattress Firm, another fantastic option in Vienna is Mattressmax (1601 Grand Central Ave.) where you’ll find premium mattresses and a sales team that truly understands the importance of a great night’s sleep. This mattress shop actually hires and trains their own delivery team rather than contracting. Seriously, this can make or break a mattress purchasing experience! So if you are looking for quality and reliability, try Mattressmax. Looking to purchase a mattress in Morgantown, West Virginia? You’re in the right spot! More so than ever there are reliable mattress shops in town. We selected locations that offered a good range of items and prices for all types of budgets– including students, and here’s what we came up with. If you are looking for a no-fuss mattress-shopping experience, (and let’s face it, who isn’t?) then definitely check out Sleep Outfitters (1066 Suncrest Towne Center Dr.) where you’ll find a patient and knowledgeable sales team that won’t pressure you to spend outside of your budget. Their wide selection means even if you don’t know what you need, you’ll have plenty to choose from. They also offer same-day delivery. If you are looking to furnish your dorm or home, head to Chuck’s Furniture where you’ll find quality mattresses and more for your furnishing needs. This company is family owned and run and has been around since 1967. Not only is there a lot to choose from but the owners a pleasure to work with and won’t pressure you to make unnecessary purchases. 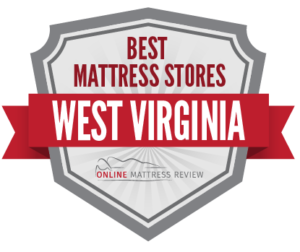 Thanks for checking out our guide to the best mattress stores in West Virginia. We hope it helps you on your search for great sleep.